Today, it’s difficult not to notice all the gluten-free products available in health food and grocery stores. There’s been an influx of books, magazine articles, and news segments, too – all of which have characterized gluten as a dietary villain.Yet, there is no evidence to support gluten-free diets for anyone other than those who are actually affected by gluten. In fact, some experts say that following a gluten-free diet in the absence of celiac disease may in fact be detrimental to your health. Found in wheat, barley, and rye, gluten is a protein that serves as the “glue” in foods like bread, pasta, and cereal, as well as products such as lip balm and even the glue on the back of envelopes and stamps. Basically, it helps all of these things hold their shape. Why all the fuss over gluten? Today, roughly 1.6 million Americans follow a gluten-free diet, even if they haven’t been diagnosed as having a non-celiac gluten sensitivity (NCGS) – or gluten intolerance. It’s estimated that around 18 million people in the U.S. have some form of gluten intolerance, experiencing symptoms like diarrhea, fatigue, headache, bloating, gas, as well as itchy skin. Meanwhile, only one percent of the population, around 1 in 133 people, have what’s called celiac disease, which is a more severe intolerance to gluten. When it comes to celiac disease, gluten brings about an immune response that attacks the lining of the small intestine. So you can’t effectively absorb nutrients into your bloodstream, which can lead to anemia, delayed growth, and even weight loss. If left untreated, celiac disease can lead to other health conditions, such as osteoporosis, multiple sclerosis (MS), infertility, and neurological conditions. And, unfortunately, the only way to treat celiac disease is to adopt a strict, gluten-free diet. A gluten-free diet is is void of all foods that contain the particular protein. That means the breads and cereals mentioned earlier, but also beer, candies, cakes, pies, French fries, processed meats, and soups, unless they’re specifically labeled gluten-free, of course. People who follow this diet eat foods that are naturally gluten-free: fruits and vegetables, fresh eggs, fresh meats, fish and poultry, unprocessed beans, seeds and nuts, as well as most dairy products. Of course, many grains and starches are considered a part of a gluten-free diet. They include rice, soy, buckwheat, quinoa, millet, and arrowroot, as well as corn and cornmeal. Grocery stores are stocked with a wide variety of gluten-free alternatives these days, although they’re more costly than gluten-containing products. Does a gluten-free diet really benefit health? Nevertheless, there’s little evidence that – with the exception of celiac disease –gluten is detrimental to our health. A 2013 study by Australia’s Monash University found no evidence of “specific or dose-dependent effects” of gluten in patients with NCGS. Researchers discovered that bloating previously identified in study participants was, in fact, linked to the consumption of carbohydrates. What’s more, in November 2014, a study published in the Journal of Proteome Research revealed that non-gluten wheat proteins may trigger celiac disease. In other words, gluten may be bad for your diet and health only if you’ve received a diagnosis of celiac disease. But that’s not all. 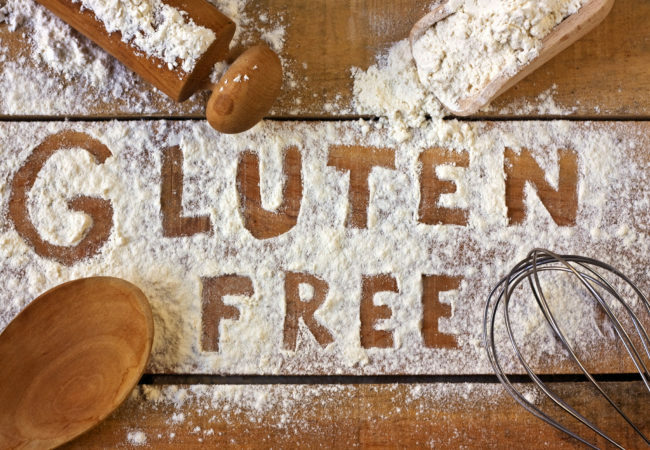 A gluten-free diet may lead to lower levels of iron, calcium, fiber, folate, thiamin, riboflavin, and niacin, too, according to the Mayo Clinic. The reason? Quite often, refined gluten-free foods aren’t fortified with essential vitamins and minerals. So remember, even though gluten has been cast as a dietary villain, it’s important to talk to your family doctor or dietitian before going completely gluten-free. You could be missing out on important nutrients your body needs.